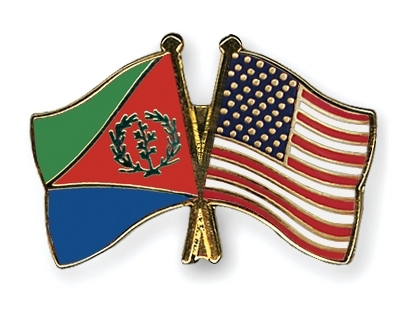 Get your very own US – ERITREA “friendship” pin. Its the official emblem of the Form and Penalty Club. Get em while they’re hot! I think a better name would be: US – Eritrean Diaspora Club sometimes also known as ACA. Maybe the Information Office of China’s State Council could be updated on this issue? It looks like Eritrea is still charging the diaspora tax in Canada. Many comments in the article are mentioning US citizenship-based taxation. Eritreer im Ausland sind gehalten, über ihre konsularischen Vertretungen eine zweiprozentige Diaspora-Steuer auf ihren Einkommen zu entrichten. Daran halten sich selbst Flüchtlinge, um ihre Familienangehörigen zu Hause vor der Verfolgung zu beschützen. Und auch, was sie darüber hinaus an Private überweisen, muss in der Heimat deklariert werden und ist steuerpflichtig. Around 18 000 Eritreans live in Switzerland and they are one of the largest refugee groups. Their social networks are not as strong as Tamils and they are politically passive. So, does that mean that Canada would allow Eritrea to impose and try to collect the 2% diaspora tax IF the UN sanctions were lifted, and thus put Eritrea on the same footing they offer to the US – which imposes US tax on those duals and permanent residents of Canada who have NO US economic connection? Does that mean that it is the foreign policy of our Canadian federal government that Eritrea would be free to impose extraterritorial taxation of Canadians of Eritrean descent as long as they only emulate the same or similar tax assessment, enforcement and reporting requirements and actions of the US? Or does the US get a free pass to do whatever it wants to – because Canada would rather sacrifice the legal assets and earnings of > 1 million Canadian households than irritate the US? I note that the US frequently and unilaterally has been a “…….destabilizing influence……….where it has supplied weapons, money and training to a variety of armed groups..” – without seeking UN permission. Canada threatened in 2014 to close the Eritrean consulate in Toronto unless it stopped collecting taxes from Eritrean-Canadians. A 2 percent tax on the income of émigrés remains an important but diminishing source of revenue for the government. In June 2013, Canada expelled Eritrea’s Toronto consul for continuing to solicit “national defense” fees (and the 2 percent tax) from Eritrean expatriates despite Canadian demands that he stop because the practice violated UN sanctions. Since at least 1995, Eritrea has imposed a 2 percent income tax on Eritrean expatriates (retroactive to 1992) to be eligible for consular services, such as notarizing powers of attorney, certifying educational decrees, and issuance of travel documents. Relatives in Eritrea of expatriates who refuse to pay the tax have been threatened with loss of business licenses or have been prevented from selling property because of a missing notarial. Canada and Germany prohibit collection of the tax, while the Netherlands and others are considering a ban. Foreign aid, while modest, grew in importance as expatriate Eritreans increasingly protested government repression by refusing to remit Eritrea’s two percent tax on foreign incomes. Eritrea depends heavily on remittances from Eritreans living abroad, including a 2 percent tax on foreign incomes. Because of Eritrea’s repressive policies, remittances have fallen, from 41 percent of GDP in 2005, to 23 percent in 2007.